The Lowercase – quirky-cute room decor and more! It’s the touch of playfulness and innocence which defines Sydney-based design house The Lowercase. You get the feeling that the people behind the label are just big kids having a play… and boy do they play well! Tessa and Michael Bautovich are the powerhouse design couple behind The Lowercase and in mid-2011 they’ll welcome their very own bundle of joy. He or she will most certainly reap the rewards of having such talented parents. 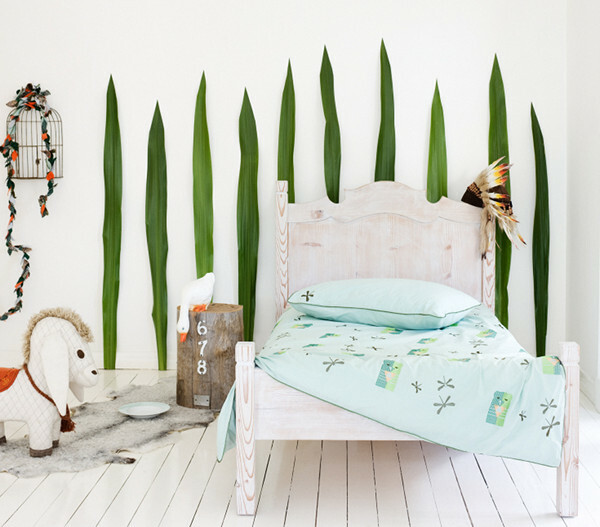 Just look at the bedding – it’s dubbed the Urban Jungle Duvet Collection! There’s Tiger Kat (top) in beautiful tones of pistachio with the most divine embroidery. 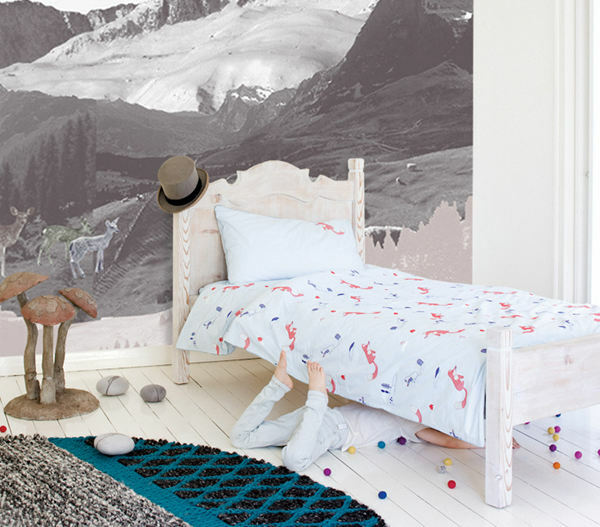 There are two more designs in the Urban Jungle bedding line – Fox (above) and Swan (below). 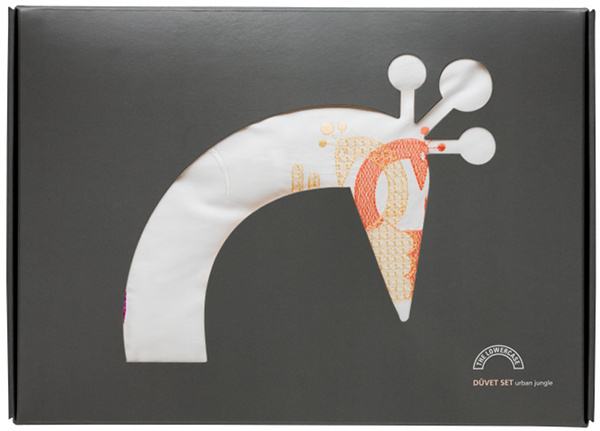 All sets are $186 from The Lowercase and come in the most beautiful cut-out silhouette packaging imaginable. The cute doesn’t stop there, however! 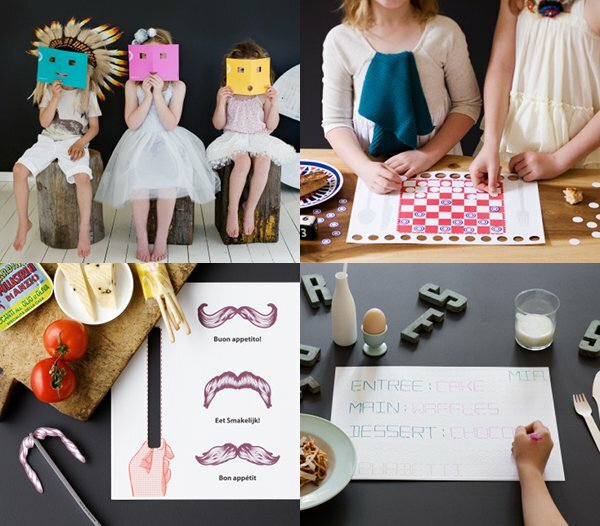 Feast your eyes below on their funner-than-fun placemats which double as craft activities and games. Super-gorgeous, huh? They come in a pack of twelve for $26 from The Lowercase – choose from Checkers, Alphabetti Spaghetti and Punch and Pose; a set of moustaches for your loony pleasure! Not sure how much eating will get done, but it’ll certainly inject some fun into mealtimes. Well done to The Lowercase – we know you’ll have a new addition soon, but we’re sure you’ll come up with many more ingenious and beautiful things in the years to come. This is one to watch!